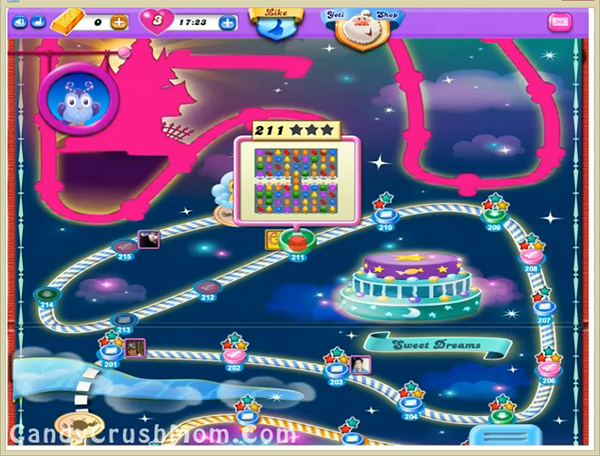 This level has hard difficulty as candy board is little bit complicated. For this level you should try to play from the bottom of the ingredient or use any special combo with balancing the Odus owl. Then wait till moon struck and as the Odus owl disappear use any special combo like colorbomb with striped candy to reach requirement. We completed this level with 105200 score using same strategy plus got few special candies that help to reach requirement with three star score.